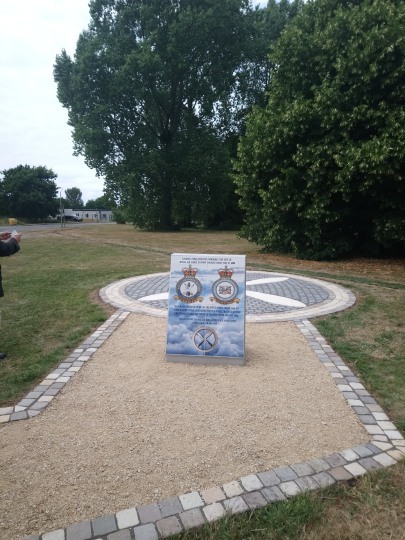 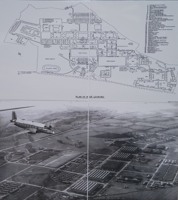 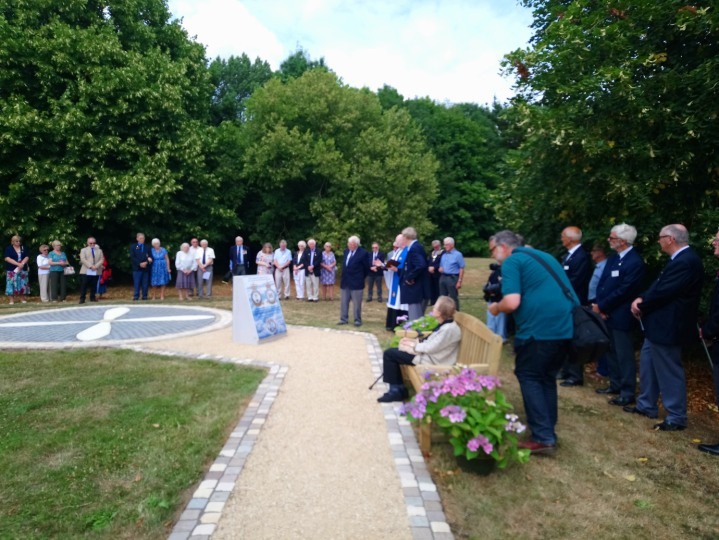 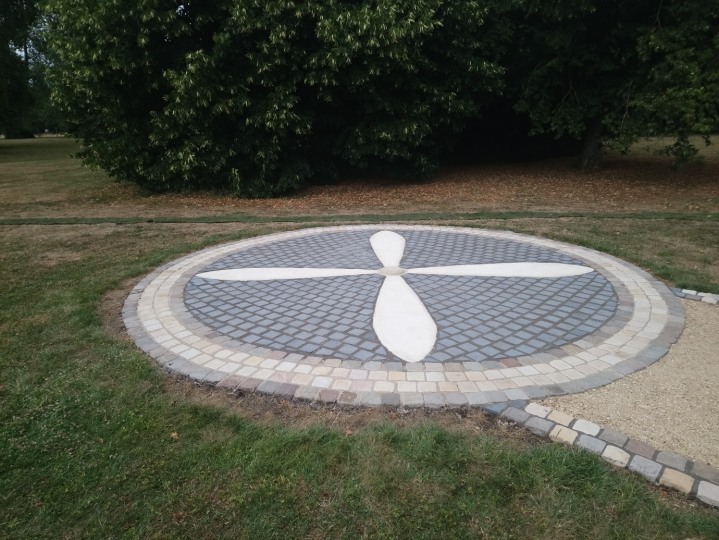 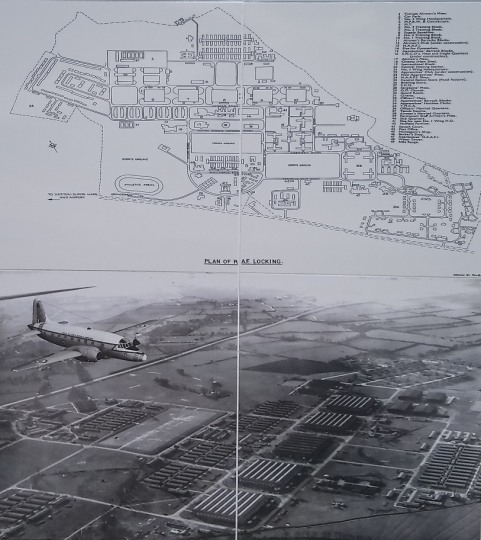 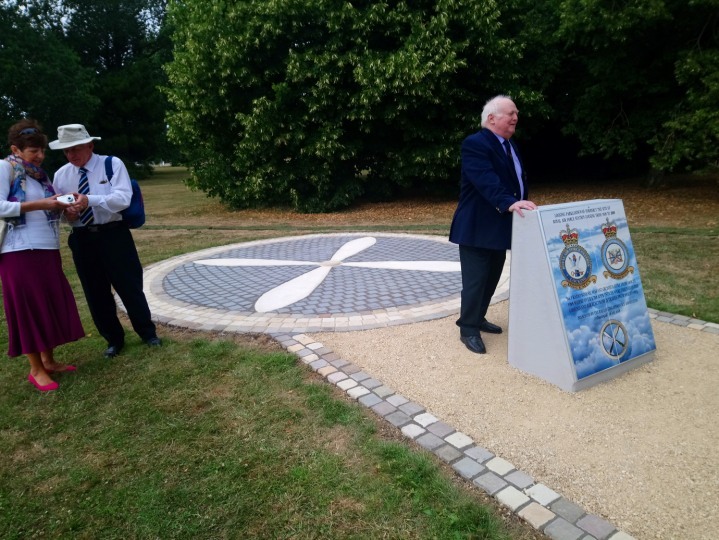 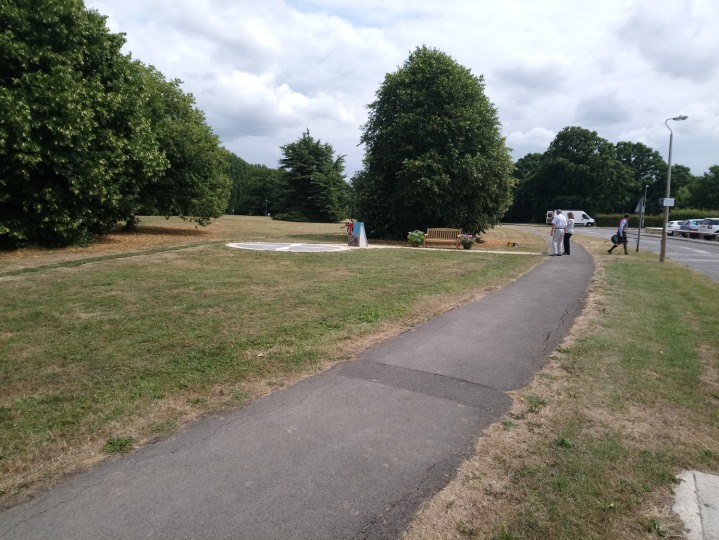 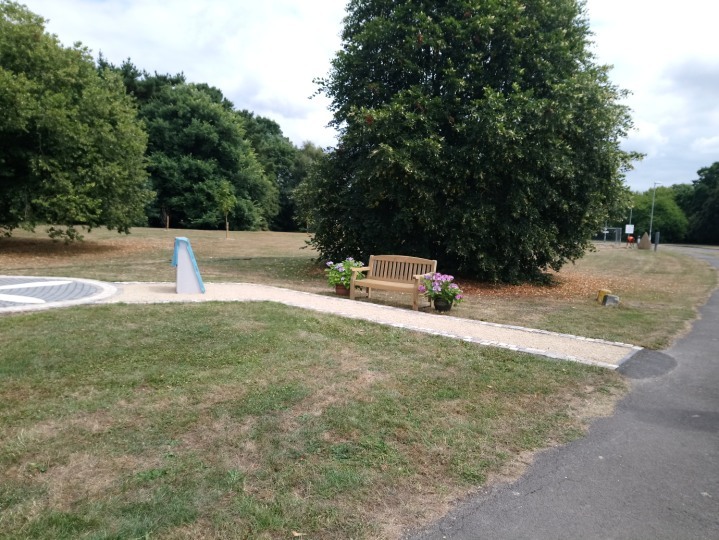 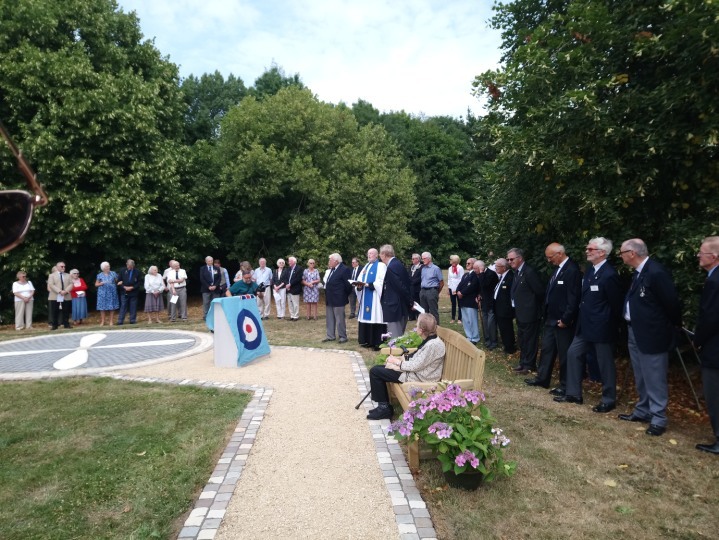 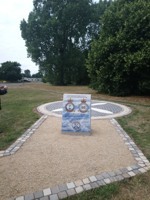 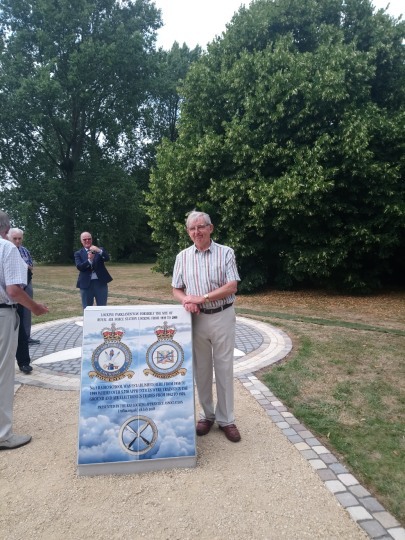 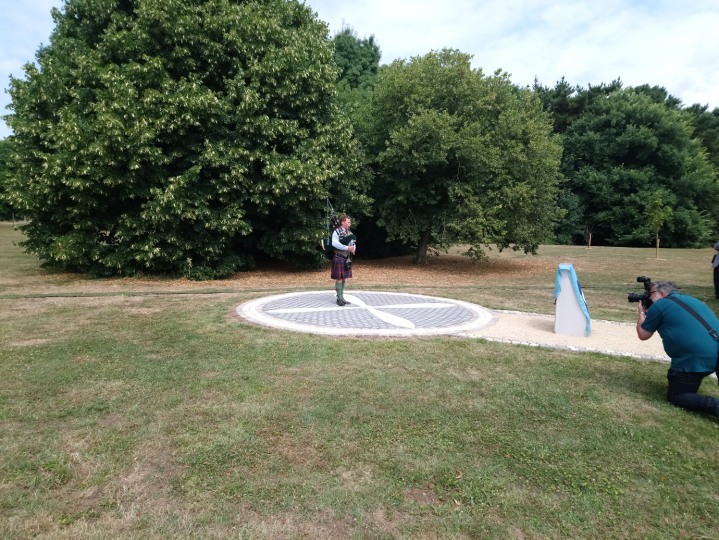 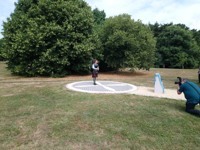 The RAFLAA has, after some ten years since they launched the project, unveiled the RAFLAA Monument at Locking Parklands on the site of the now closed RAF Locking. 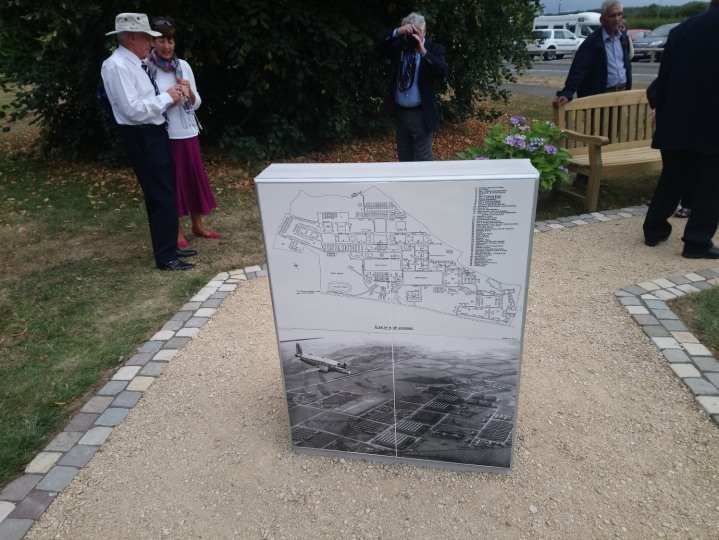 The Monument stands on the site of the old gate guardians and uses the same pedestal to display information as can be seen here. You can see a report by the RAFLAA on the unveiling and dedication here. 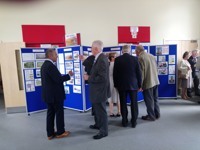 Tony Mooney attended the event with his wife Judith. 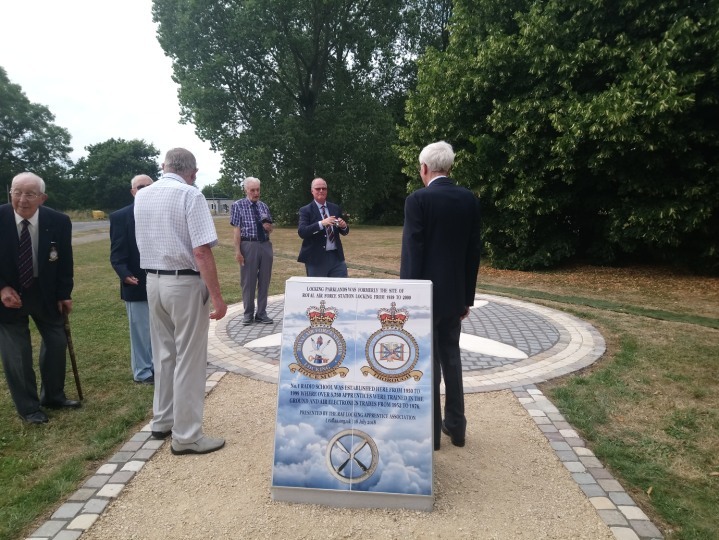 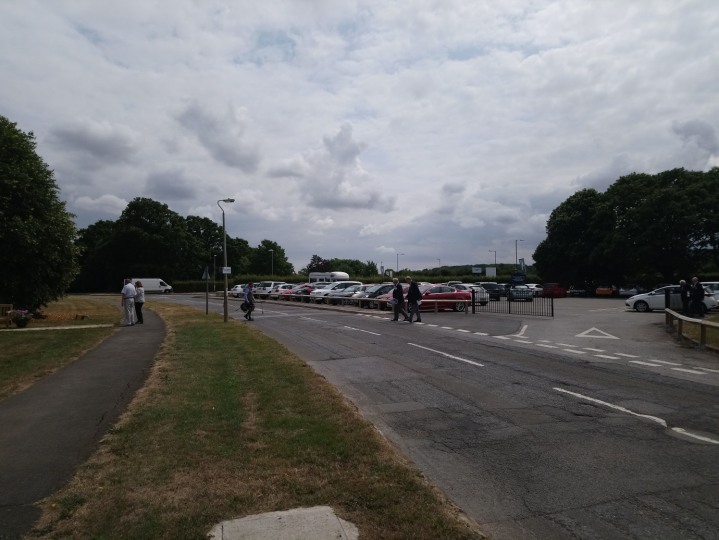 They travelled down on the day before and went to the dedication at 2 p.m. On Wednesday 18 July 2018. Finding the car park full they parked nearby and walked back to the Monument. 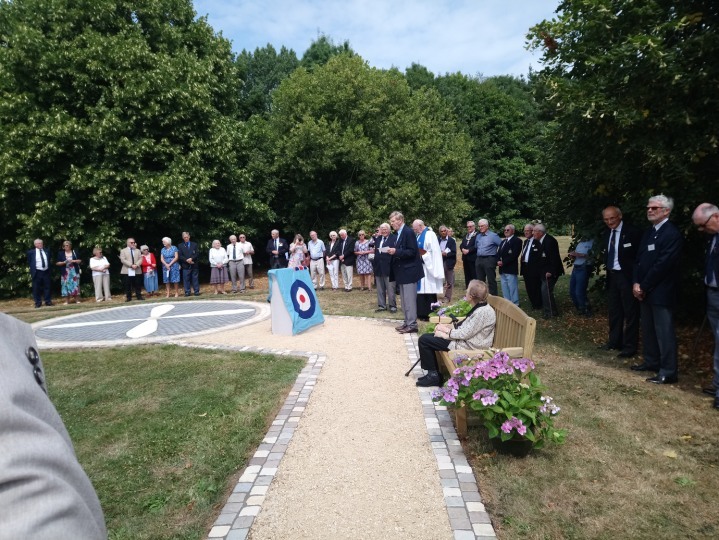 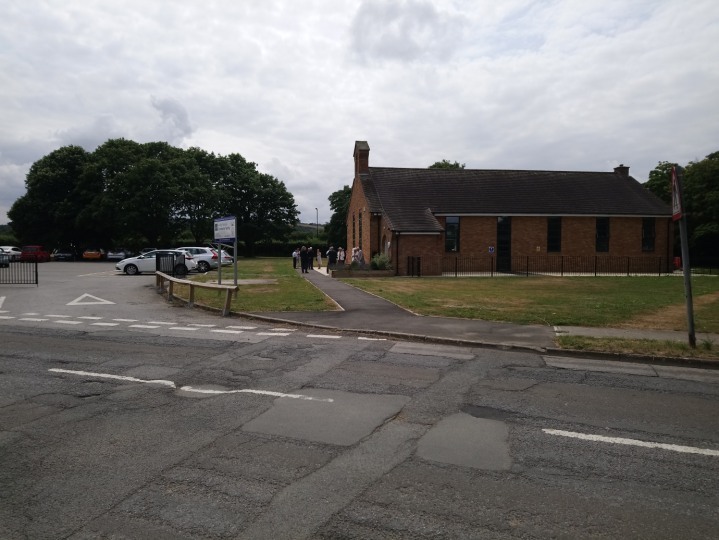 A small number of people were near the Monument but most of those attending were having tea and biscuits in the newly built community centre call Radio Wing. 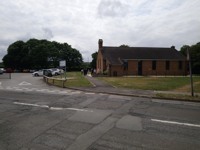 It is built on the site of the old station church. Soon, everyone gathered at the Monument for the unveiling and dedication. Most of the men were ex-apprentices and were most striking in their blazers and flannels. 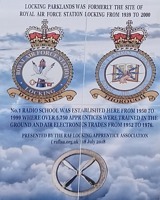 Many of the wore medals and badges. 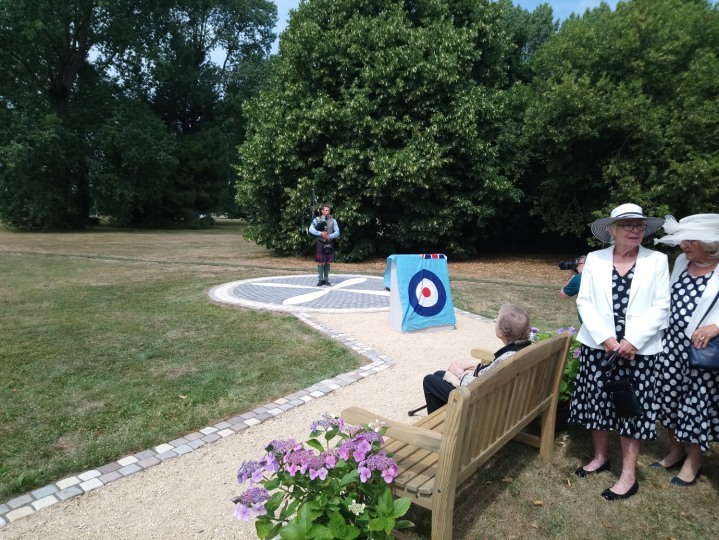 A piper played softly as the event got under way. 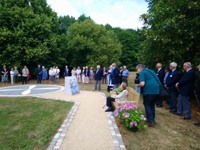 Tiny Kuhle, Chairman of the RAFLAA gave a short address of welcome which can be read here. 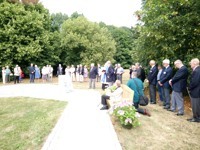 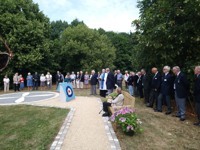 He was followed by RAFLAA member The Reverend Robin White (86th) who led the dedication. 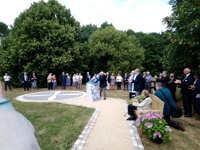 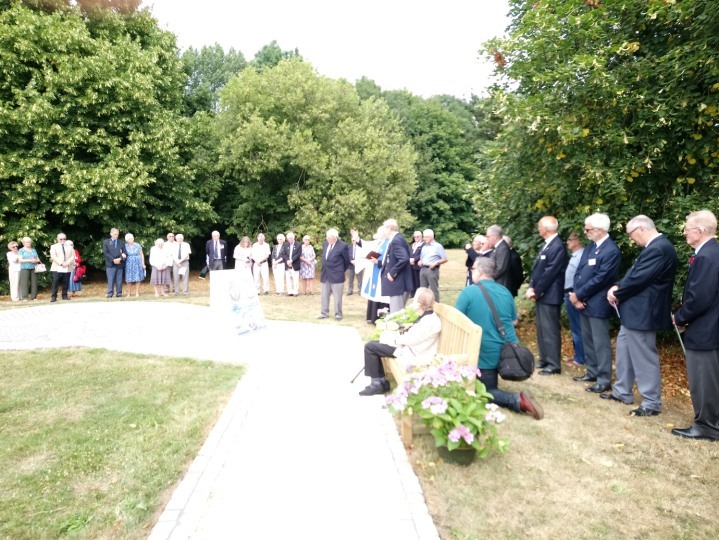 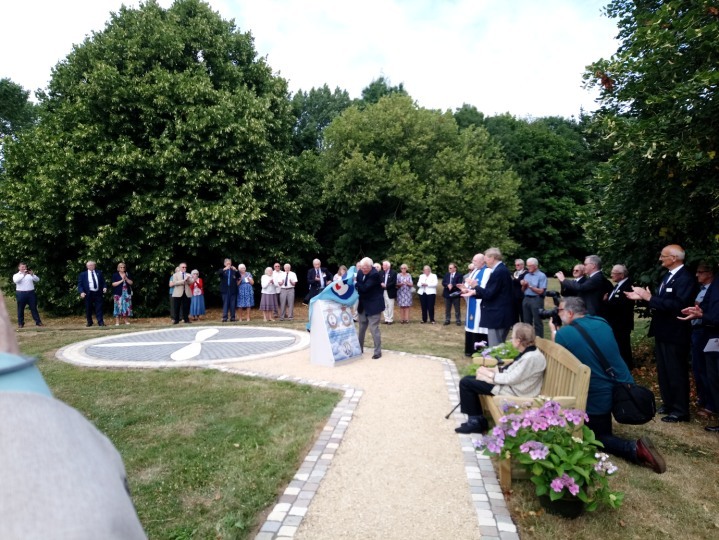 Finally Martin Palmer, President of the RAFLAA unveiled the Monument and the Reverend White completed the ceremony with the Apprentice Prayer and a blessing. 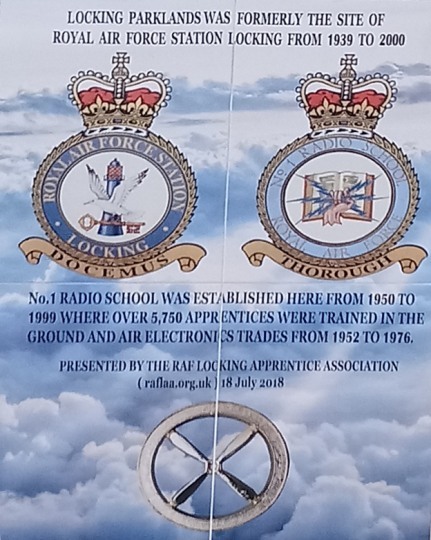 All the apprentices were then asked to form up in threes behind the piper and marched back to the Radio Wing for refreshments. 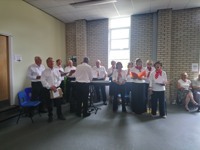 The food, which was supplied by the ladies of Locking Church, was magnificent and plentiful and the singing by the Parklands Singers enhanced the scene.